The Magnetic island is an epic place to visit using the ferry from Townsville. It’s a stunning island that is home to locals, businesses, accommodation, stunning beaches and great hikes. The island only get inhabited in the 1800’s and ever since it has become a perfect holiday destination for people all over the world. With over 20 beaches and plenty of activities. Magnetic island in Queensland is epic for all type of tourists and backpackers looking for an amazing time whilst in Australia. We was passing through Townsville whilst driving down the east coast of Australia on a camper trip. While in Townsville we decided to stay for 2 nights and visit the stunning Magnetic island. We researched Magnetic island on Tripadvisor to see what this cool place had to entail. So we decided to do a full day self-tour of Magnetic island to discover everything it has to offer. First of all we took the easy 25 minute ferry from Townsville to Magnetic island. From there we waited 5 minutes and hopped on the zone 4 bus to the Horse-shoe bay. But we didn’t go all the way, first on tour itinerary was the fortes. Fortes walk – The island’s fortes walk is 3 kilometre hike through the Koala forest and history of this epic island in Australia. 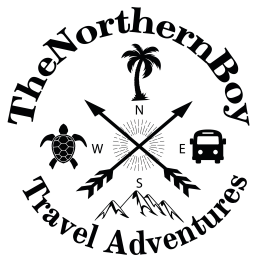 You will have the chance to read about the history of this island and even get the chance to spit a koala bear. We didn’t get the chance to see any, gutted. The walk takes you to an epic Magnetic island viewpoint, it’s a good spot to take some photos. You need to take water with you on this hike as it gets hot as hell up there. There is also a water tap half way up to fill your water bottle up. The hike at the fortes will take you about 45 minutes to an hour depending on how fast you walk. Horseshoe bay – Next place on the island was horse-shoe bay. This is a stunning beach that stretches for about 2 mile. 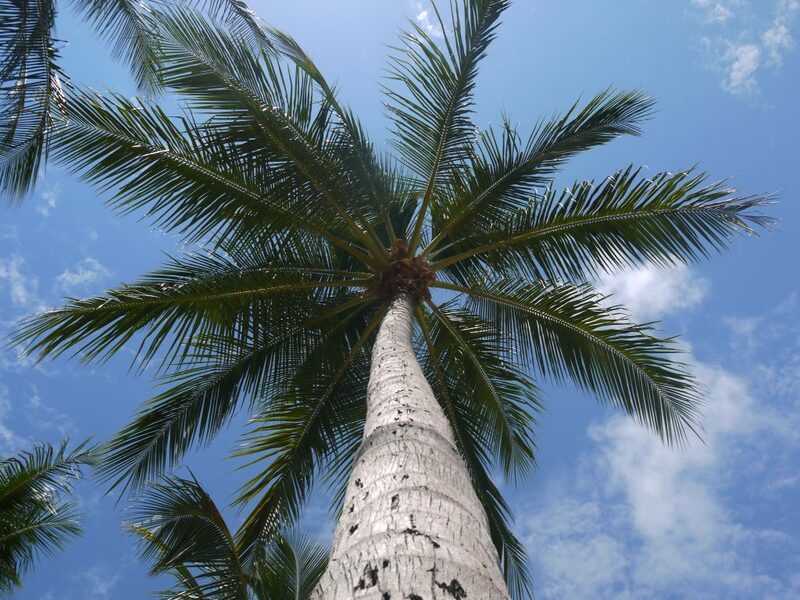 It’s fringed by cool palm trees and blue water. You can also find a handful of restaurants and shops here. Yes you can grab yourself an ice cream to cool down on the hot magnetic island weather. There is also a stinger net on the horse-shoe bay so you can swim in the sea. Without having to worry about getting stung by jelly fish. How to get to Bullard bay? You can take a 2 kilometre walk from horseshoe beach to the Bullard bay. This hike is very hot and sweaty and is a little demanding on the ankles due to the path formation. The second to last spot we visited on the epic Magnetic island was Alma bay. This was just a 5 minute bus ride from horseshoe bay. Alma Bay – What a stunning little place alma bay is! 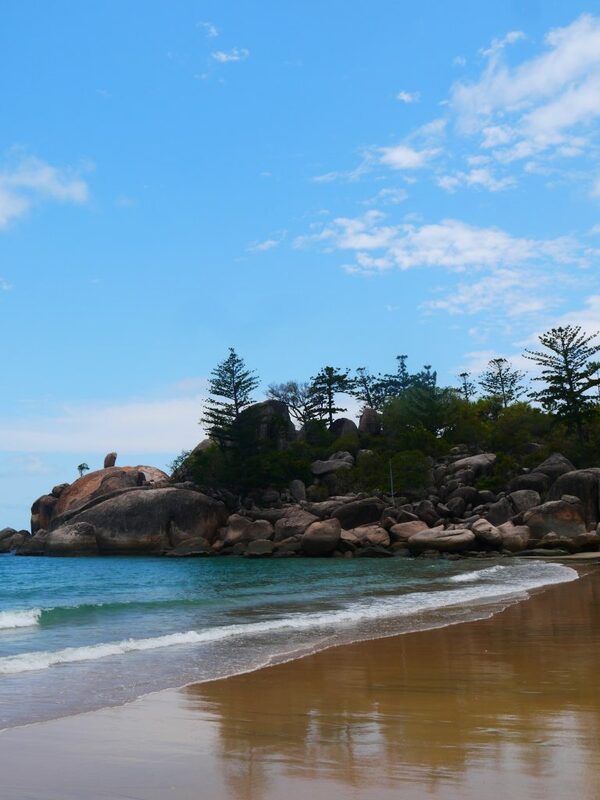 It’s probably the smallest beach on Magnetic island, but it’s probably the best. There’s a good atmosphere on this epic beach and it’s manned by a lifeguard for those who are on a family tour to the Magnetic island. Also there is a shop restaurant and cafe to grab some food and drinks. There is also a swimming pool, that I think belongs to the restaurant. We spent an hour here just relaxing. I had to keep my t-shirt on here, I was heavily sun-kissed by then. But I still embraced the much-welcomed sunshine. After an hour here, we headed to our last destination on the self tour Magnetic island – Picnic bay. Picnic Bay – Picnic bay is another little beach area on Magnetic island. There is a swimming area to cool down with and have a swim. There is also a pier you can walk out onto and grab some photos. You can also find a restaurant in throwing distance with the picnic bay beach. After visiting these amazing places on our self tour of Magnetic island, we caught the bus back. We got the bus from picnic bay to the pier and caught the hourly ferry. Overall we had an epic day visiting this island. 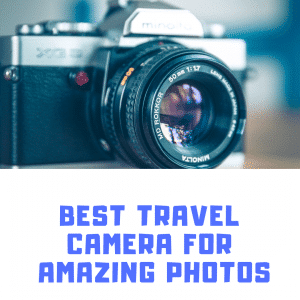 I highly recommend it as a best things to do in Townsville on your visit. Where to stay on Magnetic island? Magnetic island is perfect for anyone looking to spend either a break away or even a holiday. 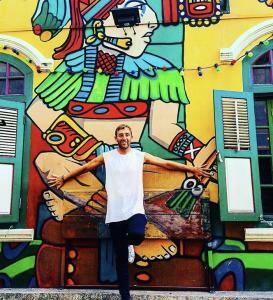 The island offers everything no matter what type of holiday you are on. With so many activities and beaches it’s no wonder everyone wants to visit this stunning island. That’s why the is some amazing accommodation on Magnetic island. If you are want deals on cheap places to stay on Magnetic island then definitely check out the link below. You’ll grab yourself a bargain. How to get to the magnetic islands by ferry? There is a few different companies that offer ferry service to the magnetic island. We chose to do the sealink ferry to the magnetic island. This is definitely the best option for how to get to the magnetic island. The sealink offers a package that includes both the ferry to the island and all day bus pass around the island. The bus pass can get expensive if you do it singular. There are four zones on the magnetic island and each one requires a $7 day pass or $1/2 single fare. However, the sealink ferry package includes a day pass for all zones. 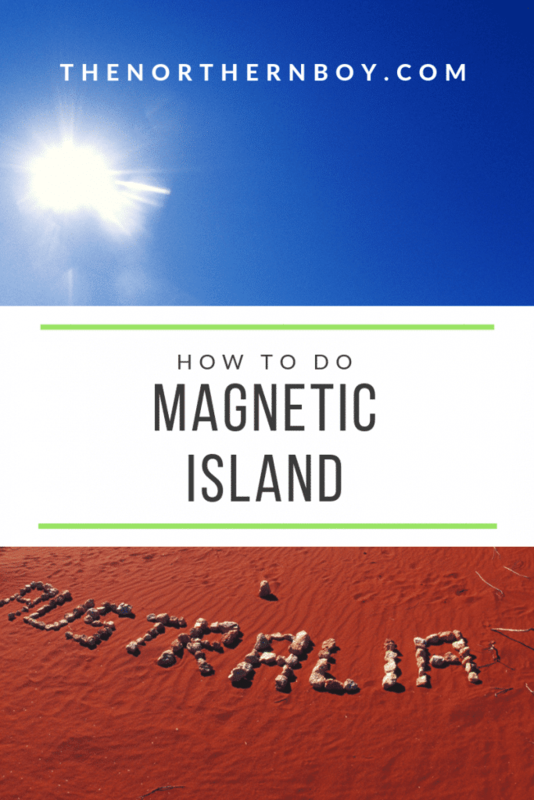 This will save you money overall if you want to see all of the magnetic island. Overall the ferry from Townsville to Magnetic island takes 25 minutes. The ferry is air-conditioned, has toilets and sells drinks and food. It’s a scenic ferry ride to the island, but obviously 25 minutes is not long. There is also parking available at the pier if you a doing a full day to Magnetic island tour. The parking is just $7.80 per day. There’s plenty of room or campervans, we parked here in our Jucy campervan. You can park at the sealink carpark overnight for those who are looking to stay overnight at Magnetic island. There is more of a fee though for an overnight stay. 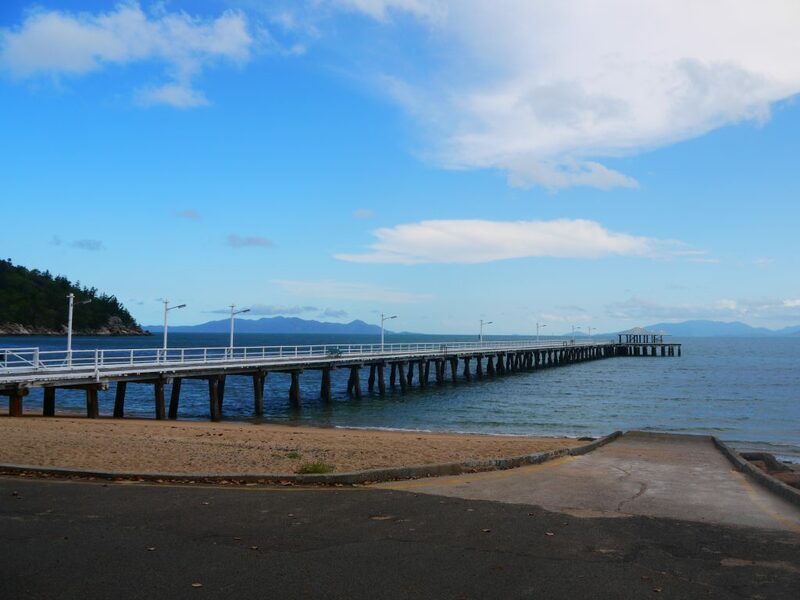 Once you arrive at the magnetic island pier, you have the option to hire a car or get the bus to start your adventure on the island. Things to know about the ferry from Townsville to Magnetic island. The ferry is every hour going and returning from Magnetic island. Parking is available at the Townsville pier. There is food and drink available onboard and there is toilets. You can’t book online your sealink ferry tickets from Townsville to Magnetic island. Tickets must be purchased at the pier. What are the activities on the magnetic island for visitors? There are some things to do on Magnetic island when you visit. Let’s take a look what’s available. Koala and animal sanctuary – You can pay $30 to enter the animal sanctuary on Magnetic island. Then you can see things such as lizards, spiders and of course the cute Australian Koala bear. On entry you can lizards for free. But you have to pay an extra $25 to hold the Koala bears for a photo. Horse riding – You can be to take part in the horse riding lessons on Magnetic island. You can learn the basic about riding these majestic animals. Snorkelling – This is a free activity on Magnetic island. You can grab your own snorkel and go adventure in the water to see what underworld fish you can find. I would stay close to the pier and only where the lifeguard says it’s safe to do so. Hiking – Hiking is another free activity on the island. We did a few of the viewpoint hikes in the heat and they’re pretty sweet to do. 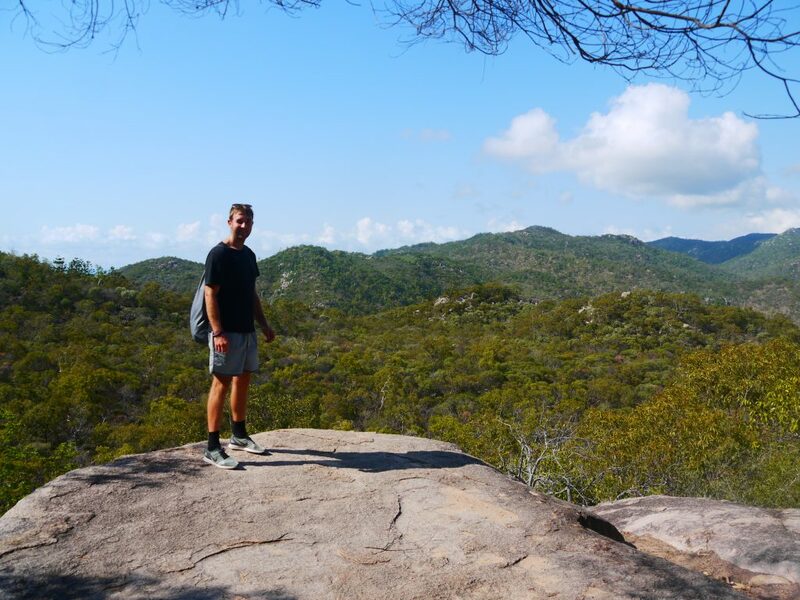 There is some amazing places to see on the Magnetic island and some of them you can only do by hiking. Remember your sun cream and water. The weather gets crazy hot, especially in summer. Swimming – It’s free and a great way to cool off. All the beaches on magnetic island had at least one person swimming in the sea. However not all the beaches on the island are manned by a lifeguard. So just be careful where you are swimming. Paddle boarding – Paddle boarding is cool and worth a go is you are feeling adventurous. There places on the island where you can hire the paddle boards. Jet skiing – Jet skiing on Magnetic island is a great way to get your adrenaline pumping. You can take a jet ski to the water and see a different view to the island. This can be quite expensive. So if you’re on a budget I would probably skip this one! Visiting the Magnetic island in Australia was a great memory and something we will look back on when travelling Australia in our campervan. We only managed to visit the island for one day. But if you can then I would recommend staying overnight on Magnetic island. This way you can spend all day and night relaxing on this amazing island. Even if you don’t want to relax there is still plenty of things to do. After you visit Magnetic island, you can carry on the adventure on the easy coast of Australia. We did our one day on the island and carried on towards Sydney. This has definitely been one of the best islands to visit on the east coast of Australia.